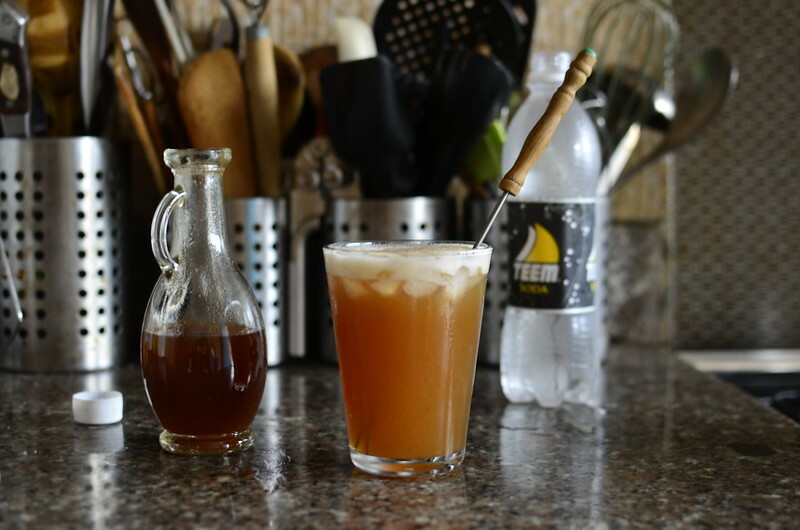 or Tamarind Soda, in the manner of Jarritos’s Tamarindo. 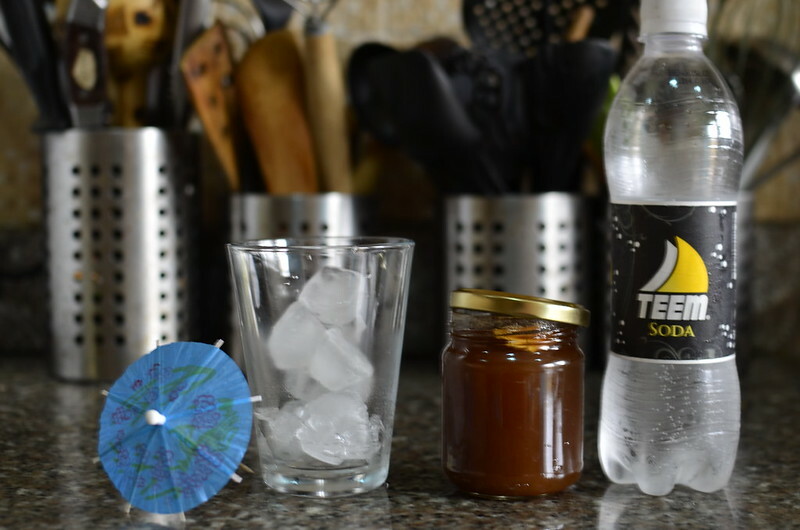 All that is required is tamarind syrup, topped up with soda water, tonic water or ginger ale. 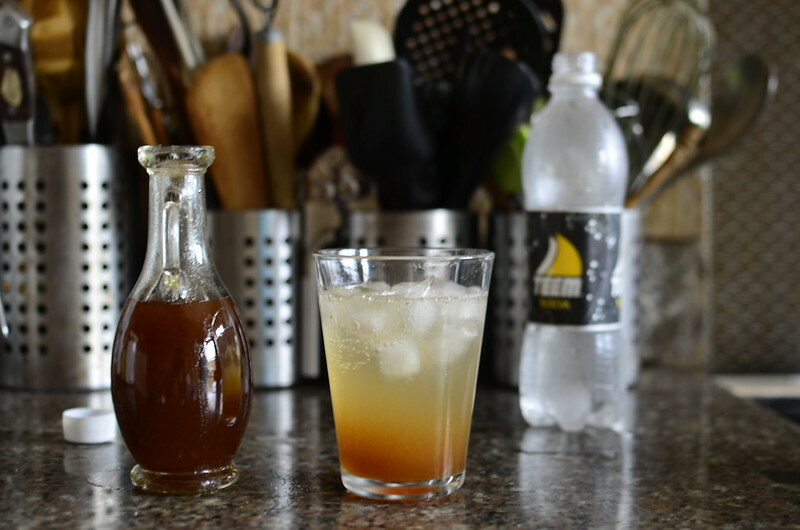 The plain tamarind syrup is nice, but I love the tamarind-ginger version as the flavours are very gingerale’sque. You’ll need ice, a stirrer and an umbrella. Just because. 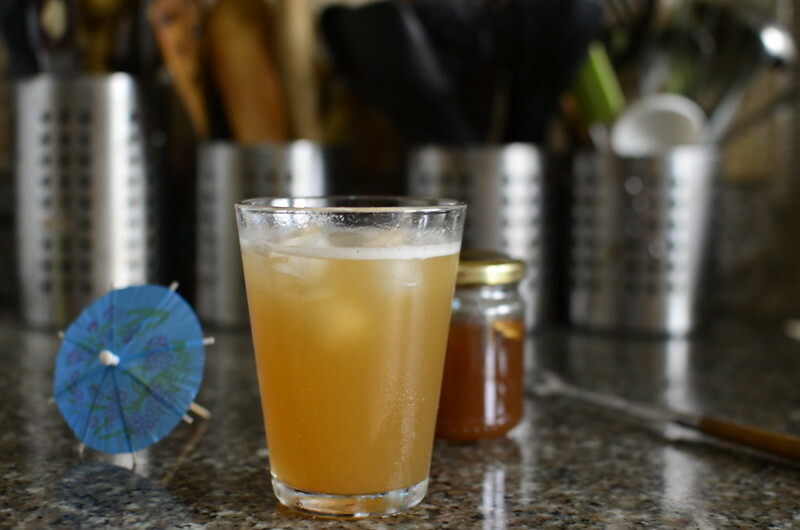 You’ll pour the syrup on the rocks and top it up with soda water and not much will happen but gradients. Worry not, the best is yet to come. Sit and stare. Watch it for soon, the transformation will occur. 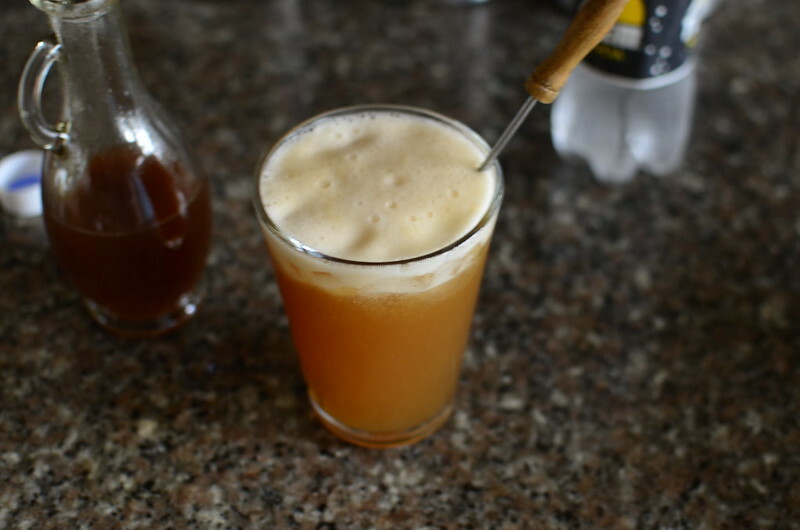 Get your stirrer ready. And in coordinated fashion, stir – with a stirrer, skewer or chopsticks. Oh yes, cocktail shaker? That too. And sooooooo on my list of things to bring home from New York. Watch the magic baby. See the froth and shine. See the ‘head’ on the glass. Admire from afar and from close by. Drink. Up. Refreshing from the bubbles of the soda water. Sweet then sour then earthy, then heat, then ginger in your consciousness.